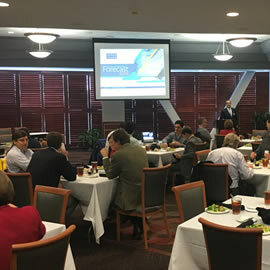 Every other month throughout the year, TRAOBA holds a membership luncheon at the PNC Arena. The luncheon begins at 11:30am with peer networking, followed by a catered lunch and multiple targeted presentations. Additional TRAOBA networking opportunities include evening ‘Meet ups’ and special events such as the Annual Bowling and the Battle of the Broker Bands fundraiser. TRAOBA members specialize in commercial real estate office transactions. From ‘featured deal’ panels to targeted economic development updates, a key goal of the organization is the further education of its members. Each TRAOBA luncheon provides a learning opportunity through speakers who are experts in their field. A recent example includes Trinity Partners sharing the details of their approximate $1 Billion purchase of the Duke office portfolio. 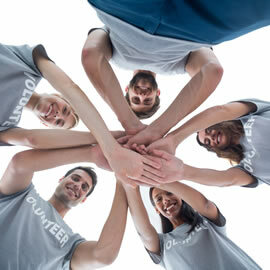 Each year, TRAOBA selects one or more charitable organizations to support. 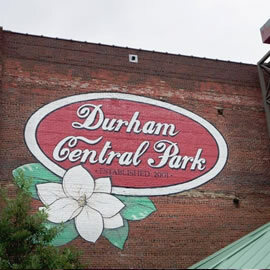 Examples of past work include toy drives for the Salvation Army, fund-raising for Habitat for Humanity, and advocate work for Hilltop Home in Raleigh. In 2015, the Food Bank of North Carolina benefitted from the sold-out fund-raiser, ”TRAOBA Battle of the Broker Bands”. TRAOBA members have the opportunity to ‘Showcase’ available office properties at the luncheon events. The Showcase offers a valuable platform upon which to present a project's merits and receive feedback from a captive and relevant audience. With the large number of tenant representation agents, this is a unique opportunity to ‘pitch’ a listed property. Any person engaged in the leasing, development, management, marketing, ownership or financing of commercial office properties is eligible. Check the calendar for upcoming TRAOBA events. Access resources specific to our market and industry. What a phenomenal 4th Annual Nelson Mullins Battle of the Broker Bands on October 4 (Rocktober 4) at the Lincoln Theatre! This was our 4th annual Battle of the Broker Bands for TRAOBA. It was the largest attendance yet with around 500 people there to hear six great bands and support causes close to the commercial real estate community. 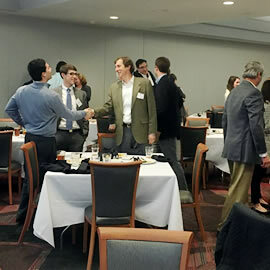 We were fortunate to have 26 sponsors this year for the event, including Nelson Mullins, CoStar, NAI Carolantic, iS design, PMC Commercial Interiors, Riley Lewis, Criterium Giles, TCAR, TCREW, NAIOP, BOMA, Bohler Engineering, Barringer Construction, Capital Associates, HM Partners, Shelco, CBRE, Cushman & Wakefield, Highwoods Properties, HFF, Access Office Business Center, Longfellow, Trademark Properties, Trinity Partners, Tri Properties, and special food sponsor, Empire Eats. At the event, TRAOBA pledged to donate $7,000 to Triangle Down Syndrome Network in memory of Guy Harvey and to the NC/SC Chapter of the National Multiple Sclerosis Society on behalf of Don Shupe and Laura (Shupe) Holt's "Shupe Troop." After tallying the numbers, TRAOBA was able to present checks to each organization for $8,816.52, a 51% increase over our charitable donations at the BOBB event in 2017! All six bands, including The Clifton Brothers, Attractive Nuisance, Steam Room Etiquette, Torn and Frayed, Velvet Hammer, and Low Bröw were amazing! Congratulations to the winner – Steam Room Etiquette, including the following talented members: John Mikels – HFF; Battle Smith – Cushman & Wakefield; Garrett McQueen – Curtis Media Group; Ryan Clayton – United Community Bank; and Lucian Crockett – Citrix.